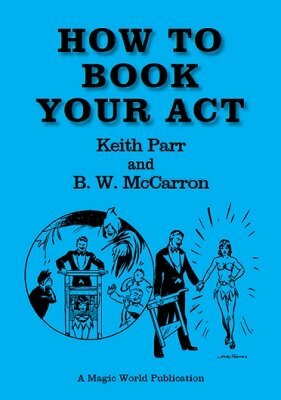 Aimed primarily at the magician who desires to work clubs, casinos and taverns, this ebook reveals how to get your act booked, even if you don't have an agent. The authors, who've combined to give performances in 30 states and Canada in clubs, taverns, theatres and on TV, reveal the secrets that booking agents and working professionals don't want you to know. Not only does it cover how and what to include in your advertising, it provides tips on structuring your campaign to answer questions that your clients want to know. Learn how to separate yourself from the rest of the pack, with these tried-and-proven methods. You also get inside secrets on how to write an effective sales letter to accompany your promo kit. Learn how to write, edit and market your act. This information alone has sold for upwards of $10 by itself.